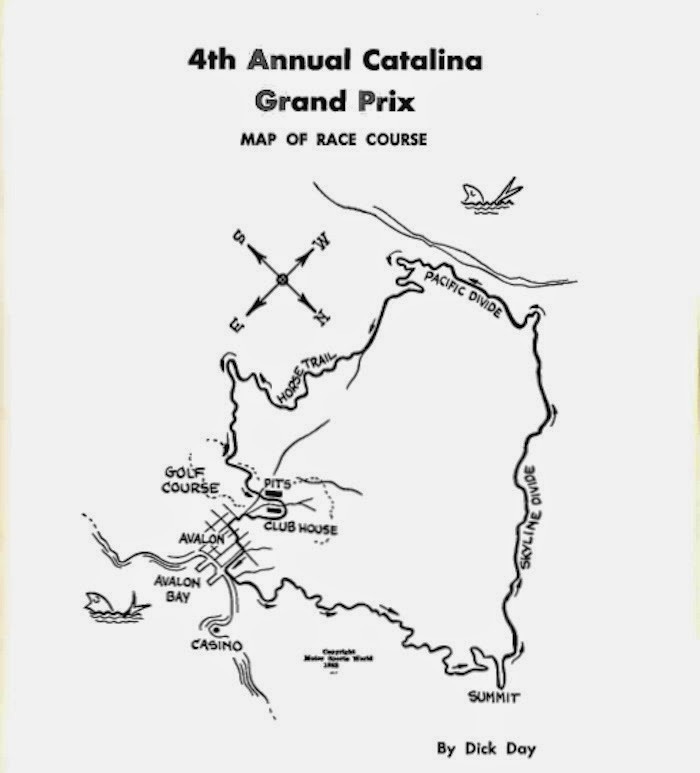 The Catalina Grand Prix was one of the biggest races In the country at the time. 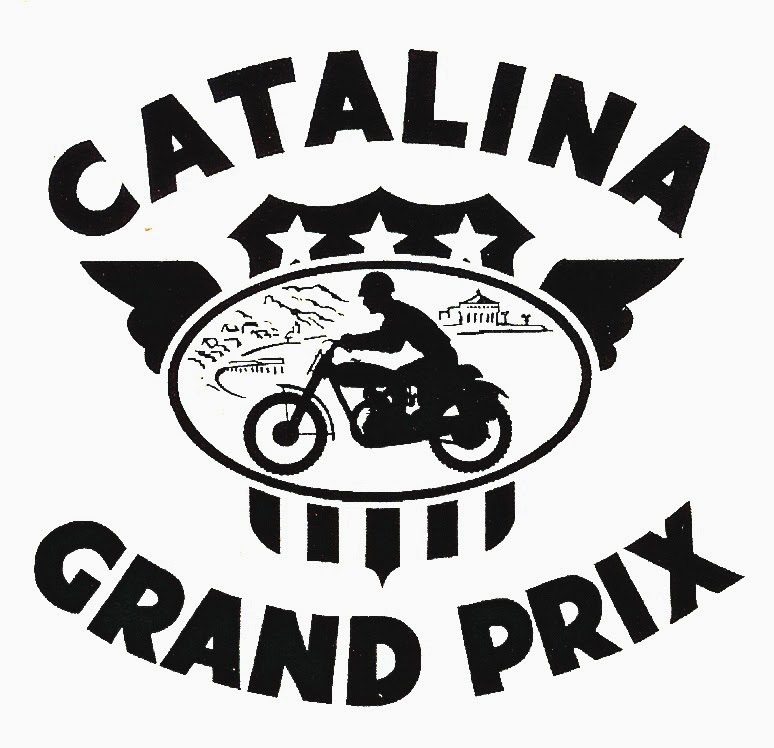 It was a 100-mile event held on Santa Catalina Island of the coast of Los Angeles. The 10-mile course was a mixture of road, dirt fire trails, singletrack, and even went through a golf course. 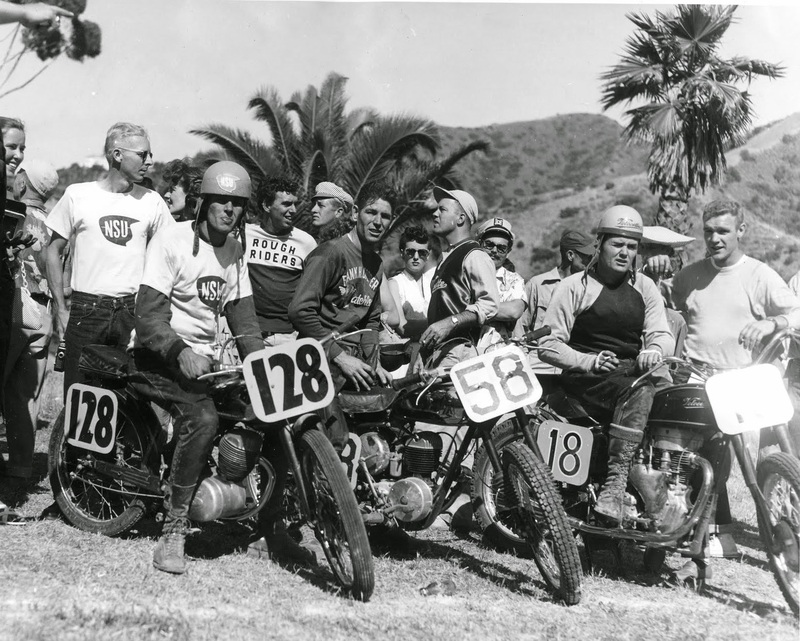 Cycle Magazine noted that many of the big AMA national riders skipped Catalina so as not to suffer embarrassment at the hands of Southern California scrambles riders who dominated the event. 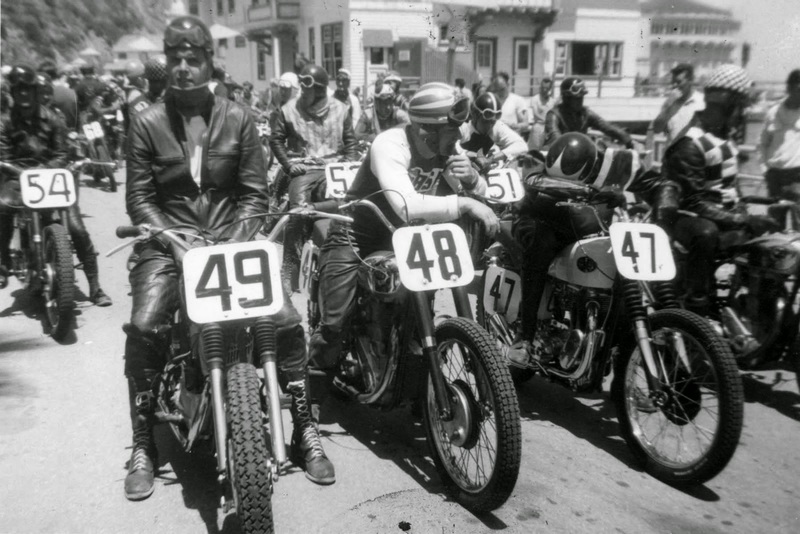 It was a time and energy completely unrivaled in all of motorcycle racing history. 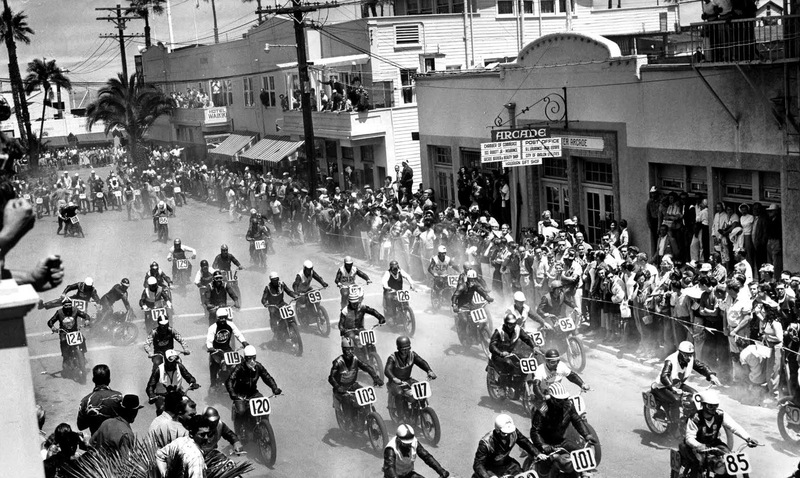 Many of the AMA’s best motorcycle racers, local SoCal riders, shop owners, and colorful MC’s (The Checkers, Shamrocks, Rough Riders, Dirt Diggers, and more) mixing with Hollywood actors, stunt riders, and thrill-seekers– all converging on the tiny vacation island from 1951 – 1958 for an event like no other. Actors Keenan Wynn avidly raced, Steve McQueen famously attended, and Lee Marvin infamously raised holy hell. In fact, Dave Ekins went so far as crediting Lee Marvin for being partially responible for the Catalina GP’s demise in 1958. 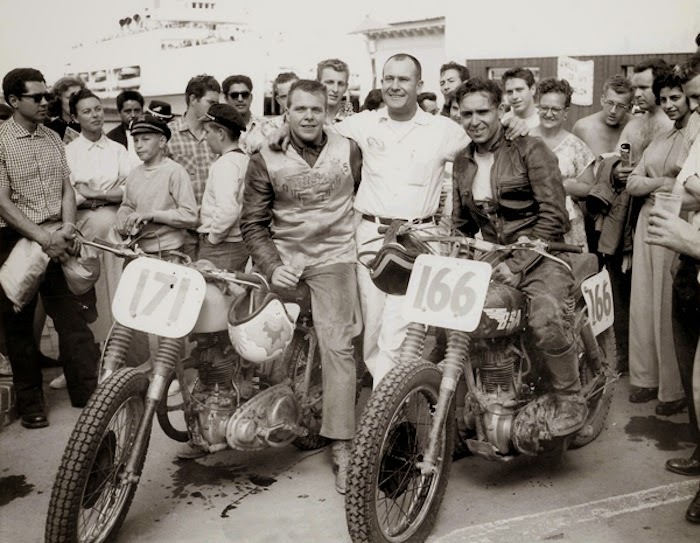 In 1956, Ed Kretz, Jr. (son of the legendary “Iron Man” Ed Kretz, Sr.) was victorious in the 200cc class at the Catalina Grand Prix riding a Triumph Cub. 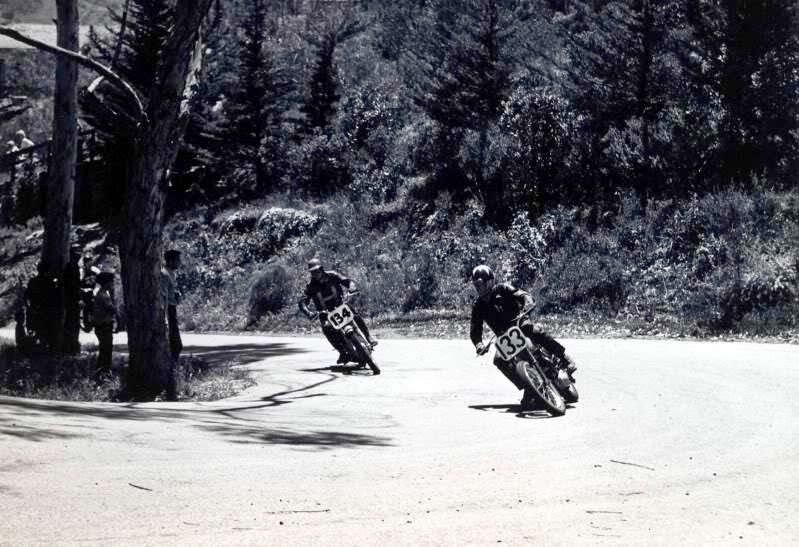 Here’s an amazing shot of the 250cc and under class start, he’s in the vicinity there somewhere… Kretz, Jr. missed a few seasons in the early ’50s while he served his country in the the war, and came back strong having his best pro years in 1956 and ’57. In 1956, he scored a pair of top-five national finishes and finished tied for sixth in the final AMA Grand National Championship standings. 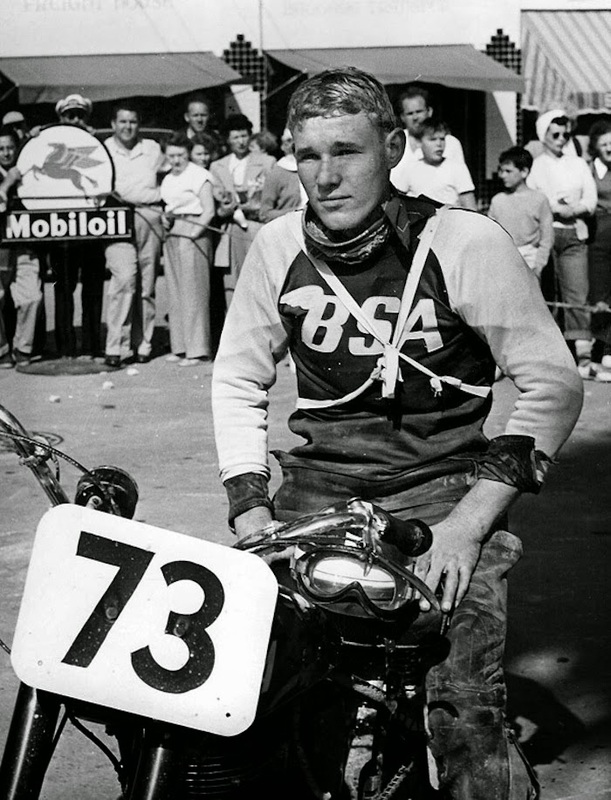 He was again a top-10 rider in 1957 and scored his fourth career podium finish at Peoria.